If there is one thing that most people tend to worry about when it comes to cork flooring in Rochester, it has to be the nature of the installation. According to industry experts, the biggest challenge that most people encounter with cork floors is improper installation. If you choose the wrong technique, there is a good chance that your cork floors will not look as good as you had imagined. This is quite a bummer, given that whenever you are planning some work on your floors, you will always be looking forward to quality results. How do I tell whether Rochester cork flooring is an ideal alternative for me? This is a question that most people barely ever get to think about, even though it is so important, and can help you determine whether you are making the right decision with this installation. Conducting a needs assessment before you decide on the ideal type of floor for your house is something that you will definitely need to plan around effectively. If possible, hire an expert to help you do this. If, for example, you are the kind of person that is conscious about their environment, cork floors would be ideal for you. This is because there is minimal wastage, and more importantly, the materials are recyclable. There is a lot of work that goes into choosing the ideal type of floor that you will have installed in your home. Besides, different cork oak trees will produce a variety of cork with different densities. Remember that the denser the cork is, the stronger and more durable it will be for you to use as your Rochester cork flooring option. As you plan for this, always ensure that you make informed decisions, backed by relevant statistics and facts. That is the only way for you to be in a good position to benefit from the installation of cork flooring in Rochester. Why is it important to get the right installer for cork flooring in Rochester? 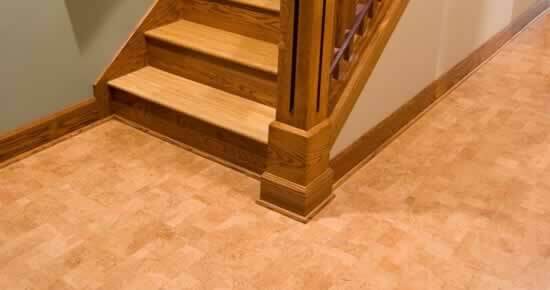 The first thing that you need to think about when you are planning for cork flooring in Rochester is getting the right installer. You need someone who has experience in the industry: someone who has been doing this for many years so that they can bring to your house the incredible experience that will yield amazing results in the long run. If you do not do this, there is a good chance that you will end up not getting the kind of results that you desire, and you might not even like the outcome on your floors. How can I protect my Rochester cork flooring against damage? There are some simple Rochester cork flooring damages that you can avoid at home. One of them is to put felt protectors on the corners and the feet of your furniture so that you can avoid getting indent marks on the floor. This will not only protect your floor but will also make it easier for you to protect the furniture from incessant pulling and dragging. What can I do to make sure that I do not get scratches on the cork flooring in Rochester? The easiest way for you to avoid getting dirt and debris on the cork flooring in Rochester is to get floor mats. Floor mats are a good way to make sure that whoever is coming into the house does not really need to worry about dragging in the dirt. It is the dirt and debris that eventually cause scratches on the floor, giving the floor a terrible look.